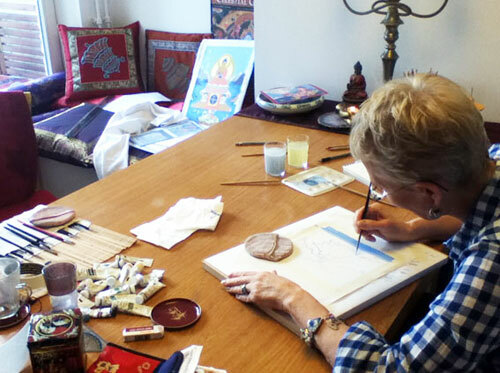 Enjoy the luxury of private thangka art workshops where you can learn this incredible ancient art at your own pace, with lots on individual guidance and time to answer all your questions about Tibetan Buddhist art. 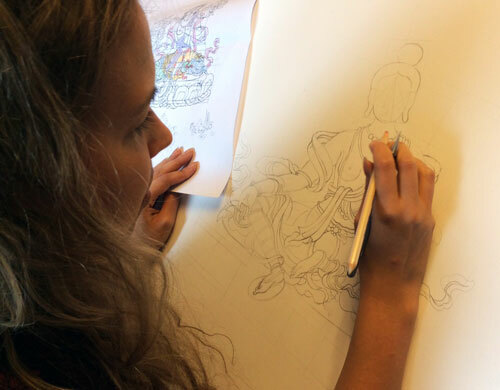 For people with or without drawing or painting experience, who want to learn in a comfortable, private setting. Private classes can be organized for 1 to 4 persons (so you can bring your friends as well!) 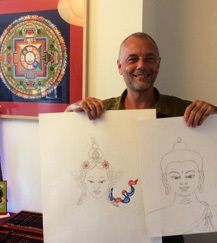 in Carmen’s inspiring thangka studio in one of the most popular areas in Amsterdam. 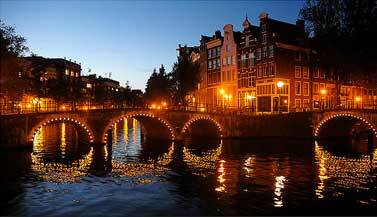 It’s a great way to combine your art training with a trip to beautiful Amsterdam and its museums. 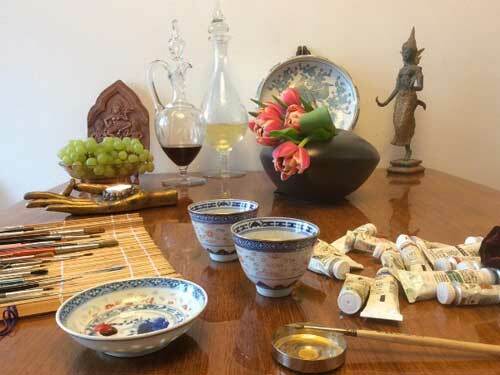 A list of great value hotels and B&B’s with single, double, triple or family rooms can be provided (all within short walking distance of the thangka workshop and the historical center of Amsterdam). From the airport you can easily get there by train or bus, time tables and all other information you need will be provided. 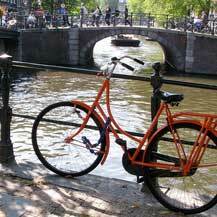 Testimonials & pictures of people who came for private teachings to Amsterdam can be found at the bottom of this page. On request, Carmen can teach at different locations. When she teaches in other countries, it’s often possible to arrange an individual workshops over there as well. 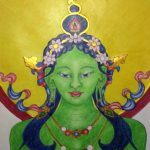 “I spent three full days with my thangka-teacher Carmen – and to me it was like being in a retreat – meditating, listening, drawing, colouring, contemplating and dedicating. Not only is Carmen a beautiful person, she is also a wonderful and experienced teacher. When she teaches, she does it with such lightness and humor, deep seriosity and sweet kindness …. that one immediately feels at home and in good hands. 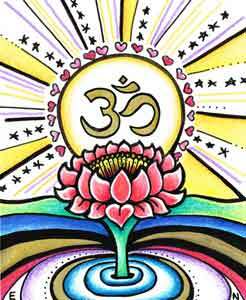 “I study Fine Art and am inspired by Tibetan Buddhism. 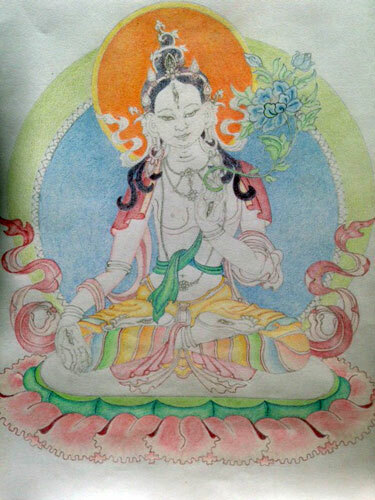 So, I thought that learning to make Thangka was for me an excellent way of combining both interests. I always felt Thangka radiates fine energy, so I wanted to have it in my own room, too. I came for private teachings instead of a regular course because I thought it would be useful to have one to one, tailor made lessons at the beginning, to get to know the basics in an intensive way. I thoroughly enjoyed the lessons. With a slideshow, Carmen gave me an extensive explanation about the art of Thangka, Tibetan culture, and Buddhism with many beautiful photos and images. Deepening the understanding of Tibetan Buddhism from visual perspectives was very new and inspiring to me. 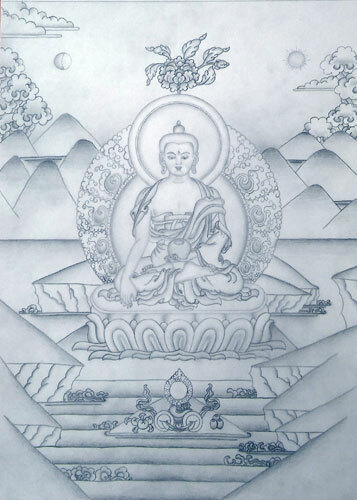 With her instructions, I could fully attend to the setting up the grids and drew the Buddha – it was a meditative, peaceful, and satisfying experience to me.